Spit Fires. Tegg's Caricatures No 44. 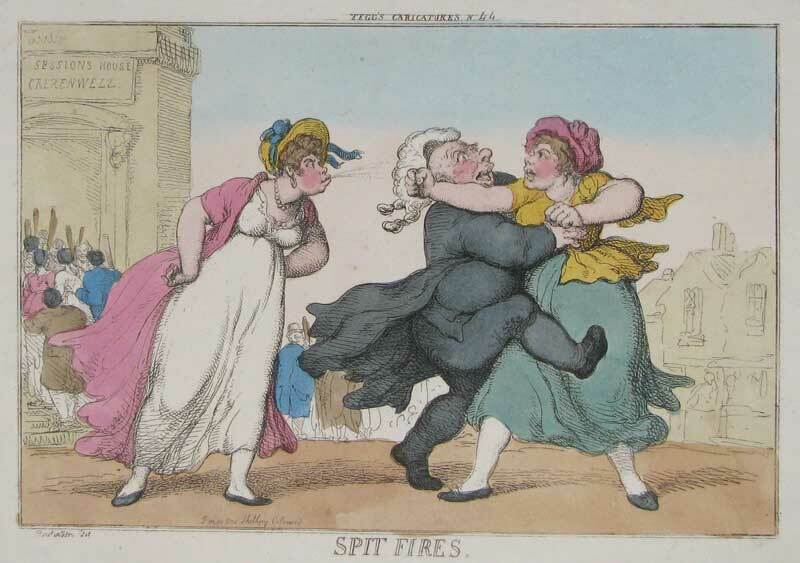 A scene on Clerkenwell Green, outside the 'Sessions House Crerenwell' [sic]: a women with fists raised is kept from another, better-dressed woman, who betrays her rough roots by spitting at her antagonist.